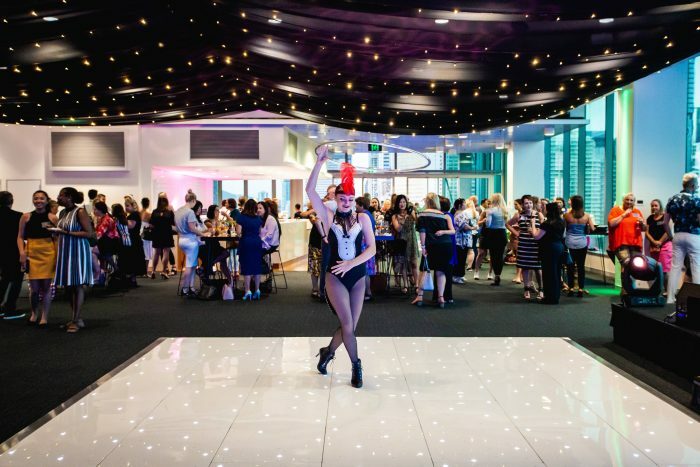 Every year, Cuisine on Cue and Room Three Sixty have the pleasure of hosting the annual ‘Summer Soirée’ event. 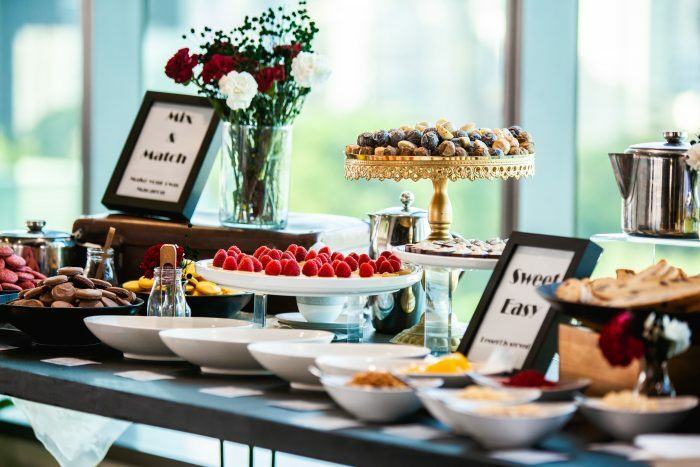 This extravagant night of indulgence showcases Room Three Sixty’s ability to deliver top-notch private and corporate events. 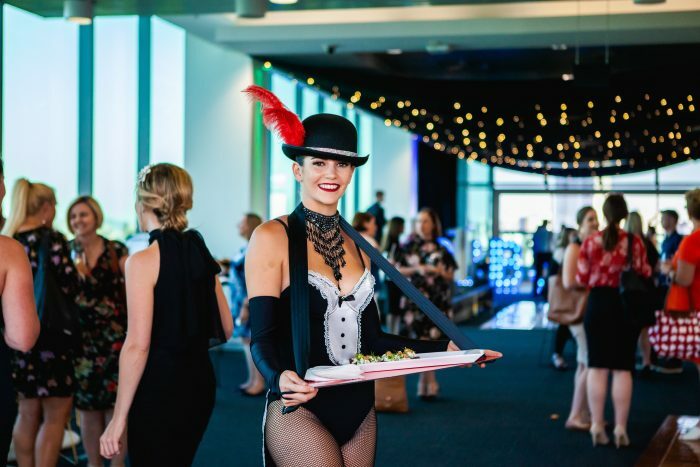 Last year’s event was another huge success, and VIP guests, industry experts and influential members of Brisbane’s food community were all treated to an evening of quality catering, entertainment and the best views Brisbane has to offer. 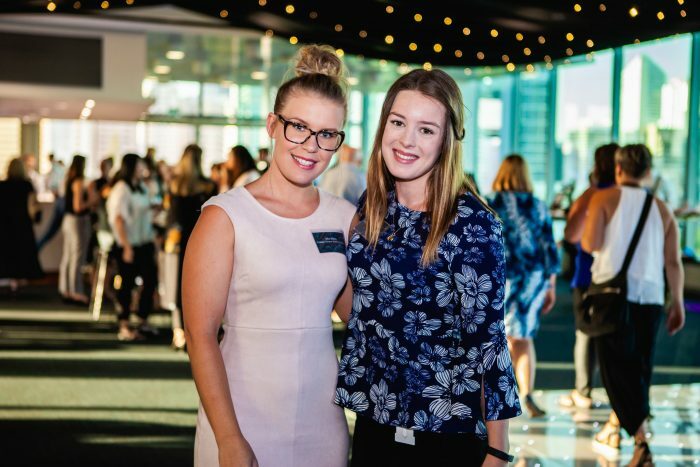 Room Three Sixty is QUT’s premier top floor venue. This contemporary event space has the capacity to host up to 320 people for standing events and up to 200 people for seated events. 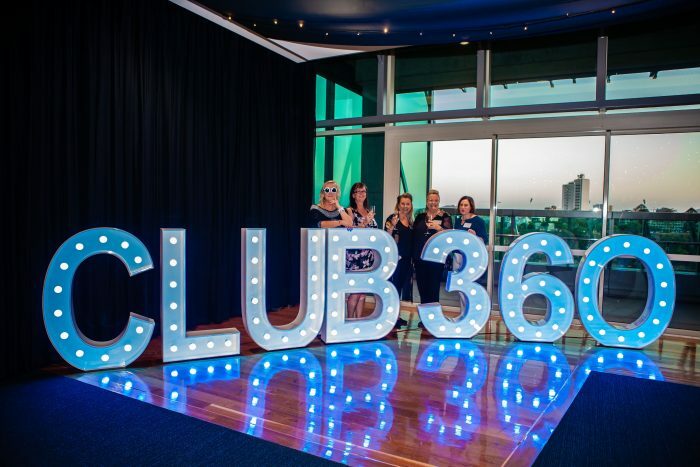 Guests were welcomed into Room Three Sixty, styled by Brandition. The venue oozed vintage luxury with teal and black velvet chairs, polished metal tables and a dressing table for the ladies with a range of unique gatsby themed jewelry. A polished copper drinks cart was provided for guests, featuring a range of whiskies and ice cold champagne. 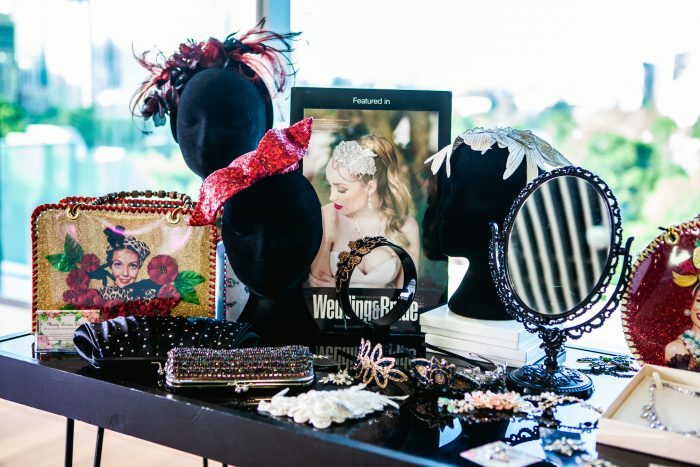 The guests enjoyed being able to dress in vintage jewellery and themed costumes while capturing their looks in the Photobooth Collective’s popular photo booth. Later in the evening, guests enjoyed entertainment from Tenori, and roving entertainers from Onstage Entertainment. 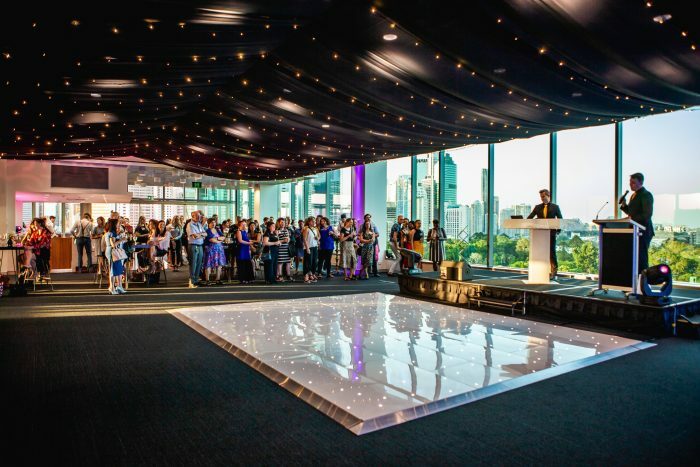 The stage was set in the middle of Room Three Sixty, with the stunning views from the floor to ceiling windows forming a beautiful backdrop to the show. 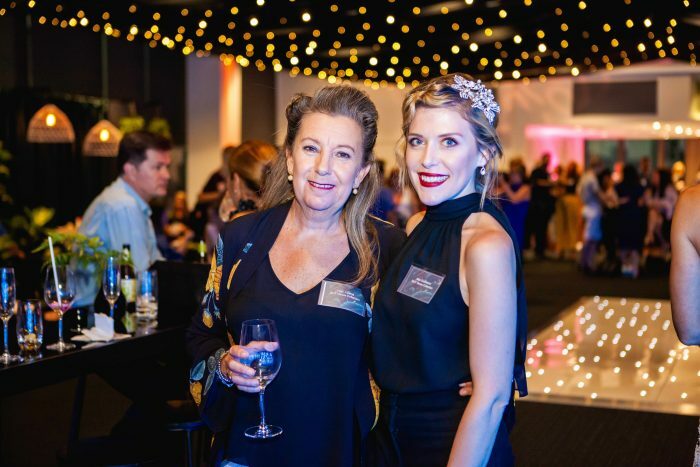 Cuisine on Cue welcomed guests into the event with a range of lucky door prizes to be won, including a fully catered cocktail party for 20 people. 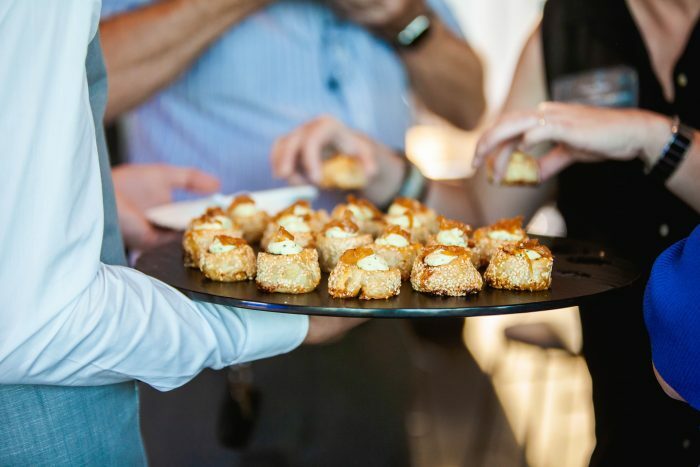 At the beginning of the evening, the guests were served a number of seasonal canapes, such as salmon brandade on toasted Turkish fingers and roasted button mushroom stuffed with goat’s cheese and hazelnut, drizzled with sherry vinegar. Following the speeches, the main courses were served and guests were treated to the option of smoked duck with goose fat potatoes, baby turnips, squash and fried capers or za’atar spiced grilled zucchini wedge served with cherry tomatoes, baby turnips, squash and fried capers, and saffron aioli. 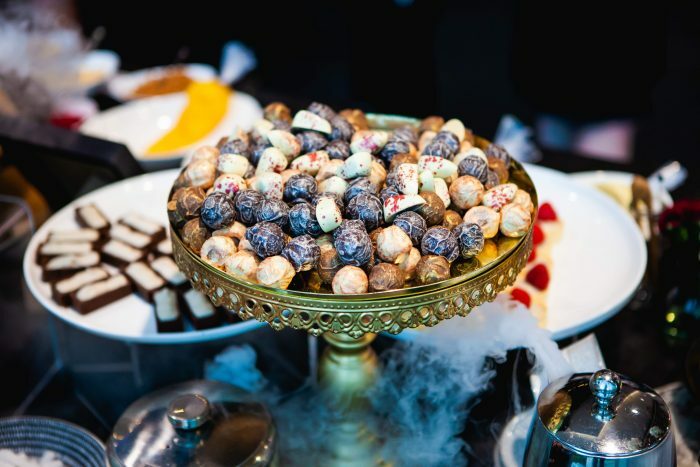 For the finale, Cuisine on Cue’s chefs delighted guests with an interactive dessert station, creating chocolate garnishes live in front of the audience. 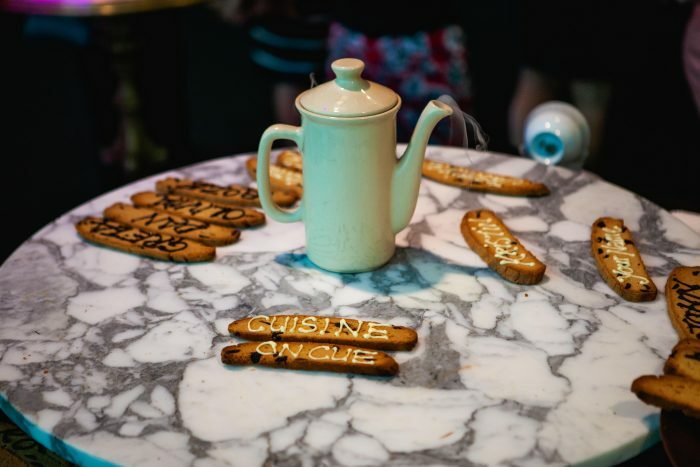 Guests also had the opportunity to write their names on biscotti and macarons, creating a personal touch. The rest of the dessert on offer included lemon and salted caramel macarons, blood orange trifle, white chocolate tartlets and handmade chocolate truffles. 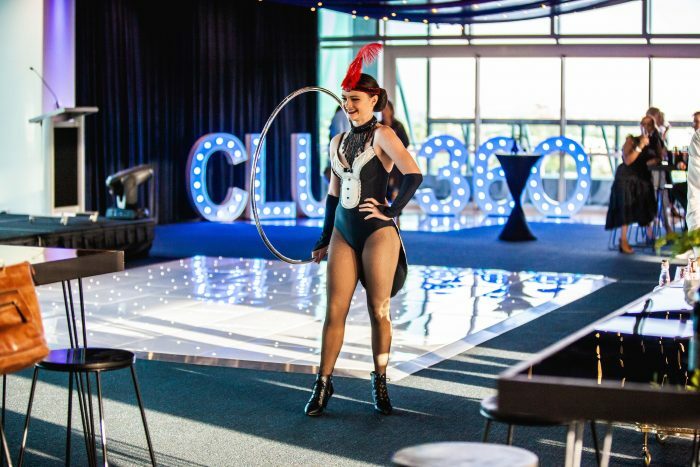 If you would like to impress your guests and host your own cocktail party at Room Three Sixty, please contact us and a member of our team will be in touch.